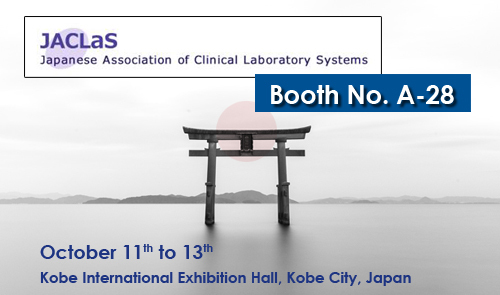 Hosted by the Japanese Association of Clinical Laboratory Systems, JACLaS EXPO 2018 will be held in Kobe City, from October 11 to 13. To contribute to the further development of clinical testing as well as the medical treatment and welfare of people by providing appropiate information on clinical laboratory instruments, reagents and systems to medical institutions and medical professionals. To provide an arena for providing information on state-of-te art clinical laboratory system technologies that will be disseminated throughout Japan and all over the world. CerTest, as a leading company in the diagnosis of infectious diseases, participates in this edition with its own space, where will showcase the latest developments and innovations of its product families, including bioSCIENCE, TURBILATEX, Rapid Test and VIASURE Real Time PCR Detection Kits.